A statement issued by the emerging party’s initiative group says the constituent assembly of Consolidation will be held soon. “We are trying to create a new political pole, presenting to the public an alternative, a possibility of changing the political situation,” the initiative group said. The leader of the nascent political party, Oskanian, served as Armenia’s top diplomat throughout former president Robert Kocharyan’s 1998-2008 rule. When first announcing his plans to set up a political party in March, Oskanian said that he continued to maintain a “normal relationship” with the ex-president, but insisted that Kocharyan “has no connection” with the new party to be formed by him. 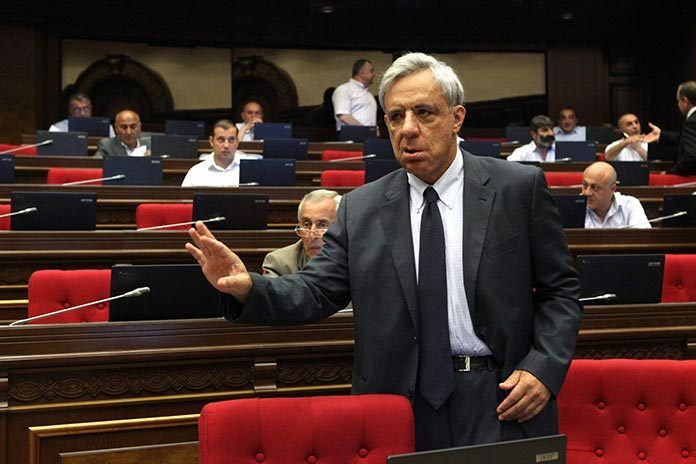 Oskanian was elected to the National Assembly in 2012 on the slate of the Prosperous Armenia Party (PAP) then led by another supposed Kocharyan loyalist, tycoon Gagik Tsarukyan. As the “political face” of the party, Oskanian had also been regarded as a plausible candidate for the 2013 presidential race, but his likely bid was precluded by an investigation launched against him on money laundering charges shortly before the nomination stage. Oskanian was among active government critics that left the PAP when the party reversed, under apparent government pressure, its position on controversial constitutional amendments and Tsarukyan was “forced out” of politics in a showdown with President Serzh Sargsyan and his ruling Republican Party in February 2015. Oskanian retains his parliamentary seat, as do Vardanyan and Margaryan, who were also elected on the PAP slate. Armenia’s next parliamentary elections are due in spring 2017.